When it comes to dependable home appliance repair in Houston TX, take your time to choose a trusted provider. There are so many companies out there. But which one will meet your requirements? Don’t waste your time comparing quotes and services. As appliance repair is exigent, you just need to call our team. We are certified specialists who can handle any task in a timely fashion. At Appliance Repairs Houston, we have the expertise needed to perform high-quality service whenever the urge arises. With our knowledge and state-of-the-art equipment, you can consider all your needs covered! Nowadays, gas and electric home appliances have become a necessity, especially in such a metropolitan city like Houston, Texas. These machines provide owners with a great deal of convenience allowing to significantly cut the time for daily chores. Although, fridges, ovens and washers are built to last long, they can still start acting up for one reason or another. No matter what type of appliance repair service you need, our team is at your disposal. At Appliance Repair Houston, we invest in continuous training of our staff to meet the needs of our community. We believe that keeping household appliances in working order is a must for a day-to-day life. Our appliance service technicians are standing by to take care of your needs. As we are qualified to work on all types and brands out there, it won’t take us much time to complete any task. So, get in touch with our company. 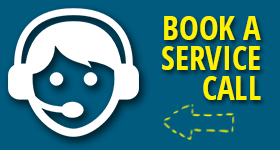 We will provide you with a hassle-free and reliable service experience. We are looking forward to assisting you!